Employees in the fireworks/pyrotechnics industry consider yourself warned! 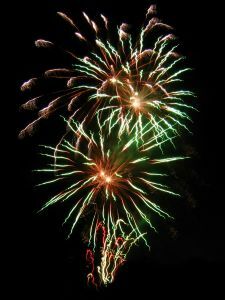 The Occupational Safety and Health Administration (OSHA) released a memo urging employers in this industry to protect their workers from the hazards they will be exposed to while handling fireworks for public events this Fourth of July. Retailers across the United States are stocking up on the dangerous displays and planning their Independence Day celebrations. 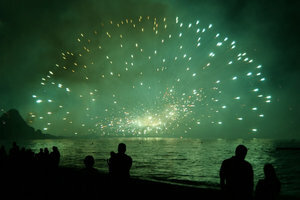 Many of these celebrations include impressive and elaborate pyrotechnic displays. These exciting celebrations also come with a high risk for a fireworks accident in Boston and elsewhere. Our Boston workers compensation attorneys understand that these fireworks displays are in high demand during this time of year, especially because it’s illegal for private citizens to use fireworks in our state. For this reason, residents rely on those that are in the fireworks/pyrotechnics industry to complete their Fourth of July celebrations with their large displays of patriotic lights in the sky. Massachusetts’ Department of Public Safety and State Fire Marshal Stephen D. Coan asks that all residents set a good example for your children and leave the fireworks displays to the professionals. These departments ask that you get out and enjoy some of the many displays of fireworks that are supervised by local fire departments and conducted by licensed professionals. -Make sure that fire service and emergency medical service (EMS) units are nearby and ready to respond if needed. -Establish good communications between crew, event sponsor and fire service/EMS units. -Make sure that everyone is using all required personal protective equipment, especially protection for the head, eye, hearing and foot. -Make sure operators are wear long-sleeved and long-legged clothing made of cotton, wool or other flame resistant cloth. -Avoid placing any part of your body over mortars when manually igniting them. -Remember to check weather and crowd conditions often to maintain safety. Our Boston workers compensation attorneys would like to thank everyone involved in putting on these elaborate fireworks displays. Have a safe and happy Fourth of July!